トップ > 英語 > 元号にまつわる色々を英語で表現してみる: What's gengo? Rei can "commands" or "order, as well as " auspicious" or "good"
He said the choice of the name mirrors the rightward trend in Japanese politics. The choice of the 'wa' character, for example, which is the same as the character used for the Showa era of Naruhito's grandfather, Emperor Hirohito, could be "consistent with Abe's ongoing efforts to try to promote a more positive narrative of Japan's wartime past." He said, "Culture is nurtured when people beautifully bring their hearts together. 'Reiwa' has that meaning." Culture is nurtured when people bring their hearts together in a beautiful way. Culture is born and nourished as people's hearts are drawn beautifully together. Butei, the leader of Kan(ancient China), started using gengo in the 2nd century. Gengo started to be used in the 7th century in Japan. The first gengo was "Taika". 'Tai' means big and 'Ka' means change. Reiwa is the 248th gengo. During the Meiji era (1868-1912), 'each emperor one era system' started. It is said that this system was established in order to strengthen the emperor's influence. A law on gengo was enacted after the WW2. It is the first time in more than 200 years that a living Japanese Emperor hands over the throne. In order to make it possible, a special law was enacted this time. The Japanese typically use this system interchangeably with the Western calendar. It appears on coins, newpapers, driving licencces and official paperwork. After the new gengo is announced, we Japanese usually do these things. 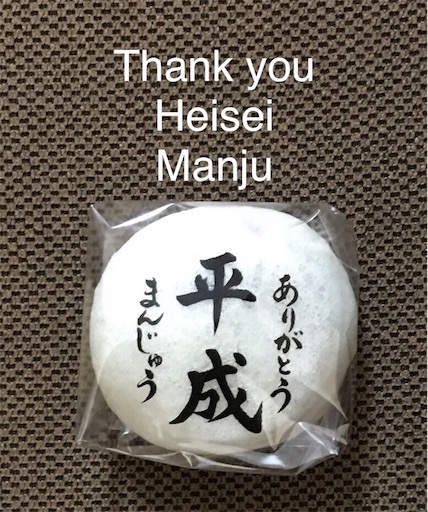 We make new goods which the new gengo is printed on, such as manju ( sweet dumplings) and T shirts. We want to know if the exact same kanji character, 令和, is used in someone's name. ( We found a girl whose name is 令和( pronounced Reina, not Reiwa though). Basically, it puts us in festive mood. lol. Emperor Akihito's abdication ceremony will be held on April 30.- his last official duty as the symbol of state. Crown Prince Naruhito will ascend the throne. Imperial family members will appear on the balcony of the palace. Emperor Naruhito will then give a public speech. The government will invite the leaders of almost every country in the world to the ceremony. Later that day, the Imperial couple will ride through Tokyo in an opencar motorcade. the Emperor will offer freshly-harvested rice to the deities.